O2 is the UK’s leading digital communications company connecting people and businesses through phones, tablets, computers, you name it. With over 10 million customers, they were in for a treat when their entire network crashed in 2012. But from this crisis, businesses learned a great lesson about the power of social media and O2 became known as a customer relations hero. 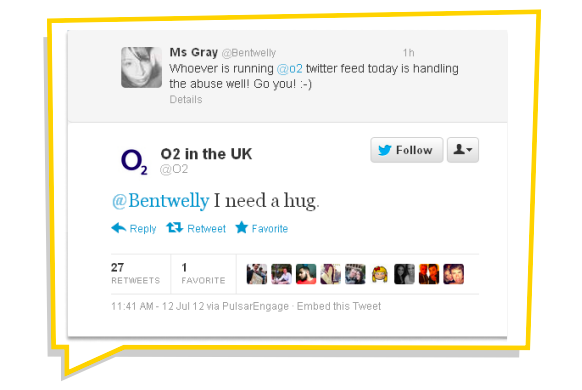 Through a tactful social media strategy in response to major public criticisms and complaints, O2 gained approximately 30% more followers over different platforms. As the cherry on top, they received positive press, coming out of this blackout stronger than before. This is a company that knows resilience and how to make the best of their mistakes. Sometimes I wonder whether Jack Dorsey or Mark Zuckerberg anticipated how powerful their social media sites would one day become. They, along with founders of other major social media platforms, have reinvented marketing. Further, their web developments have blurred the line between marketing and customer service. Marketers are picking up on the fact that in this social age, customer service and customer relations could be their strongest marketing tools. In 2014, Hootsuite found that customers who experience a quick response to an inquiry from companies over social media are three times more likely to recommend that brand to their friends over others that did not respond in a timely manner. Additionally, with capabilities beyond communication, including photo sharing and competition holding, social media platforms help customers stay engaged and stay loyal. Customer retention is a big deal. According to Bain & Company a 5% increase in customer retention boosts profitability by up to 75%. You need to pay attention to social media! It’s not just a shallow, frivolous thing that millennials use to boost self-esteem; It’s an effective marketing tool that managers should utilize and create strong management programs for. If you have a customer retention plan, social media should be part of it. Create a separate social media account for complaints, but make sure that someone is monitoring your company’s general username as well. To go the extra mile is worth it. 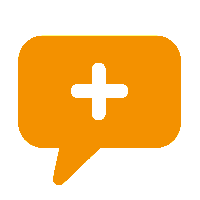 If possible, have a team member monitor Twitter for indirect mentions of your company. Responding to a frustrated customer who didn’t intend to actually receive a response could be a pleasant surprise. When responding to tweets and other messages, expediency is key. Entrepreneur contributor, Shana Starr, says that while 24 to 48 hours was once an appropriate amount of time to respond to a complaint, with social media that time frame is now 60 minutes or less. Today’s generation is spoiled by instant gratification. When they want something, they want it immediately. If you know you can’t address the complaint right away, respond anyway to let your customer know that you got the message and will get back to them as soon as possible. And don’t forget to get back to them! Responding to a customer with a 140 character limit on social media may seem casual but should be taken seriously. Make sure your social media teams are appropriately representing your company and your company’s voice. The voice should be conversational, but reps should be wary of the repercussions of a poorly worded tweet. Once a tweet is out there, there’s no getting it back. Lastly, listen to what your mother told you every day when you were a toddler and say ‘thank you.’ Thank your customers. It never hurts to have good manners.